On this episode of DTB’s “First Concert Ever”, the metal band, Hatebreed, chats about the first concerts they ever went to, while on tour with Dying Fetus, Code Orange and Twitching Tongues. Hatebreed is supporting their 2016 album, The Concrete Confessional. The metalcore band, Hatebreed, has announced a co-headline fall 2018 tour with GWAR, called “The Gore Core Metal & More Tour”, for October. Hatebreed will be touring in support of their 2016 album, The Concrete Confessional, while GWAR is out supporting their latest release, The Blood of Gods. Miss May I, Ringworm and American Sharks will join the tour, as support. On this episode of DTB’s “Dream Tour”, the metal band, Hatebreed, discusses their ultimate tour lineup, while on tour with Dying Fetus, Code Orange and Twitching Tongues. Hatebreed is supporting their 2016 album, The Concrete Confessional. On this episode of DTB’s “Tour Tips (Top 5)”, the metal band, Hatebreed, recommends their tips for being on tour, while on tour with Dying Fetus, Code Orange and Twitching Tongues. Hatebreed is supporting their 2016 album, The Concrete Confessional. On this episode of DTB’s “Gear Masters”, Wayne Lozinak, guitarist for the metal band, Hatebreed, shows off the gear that he uses onstage, while on tour with Dying Fetus, Code Orange and Twitching Tongues. Hatebreed is best known for their songs “Destory Everything” and “I Will Be Heard”. 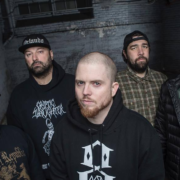 The metal band, Hatebreed, has announced the second leg of their North American Tour, called the “20 Years of Desire & 15 Years of Perseverance Tour”, for March. 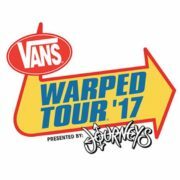 The Acacia Strain, Crowbar and Twitching Tongues will join the tour, as support. The tour is to celebrate the anniversaries of Hatebreed’s two albums, Satisfaction Is The Death of Desire and Perseverance. On this episode of DTB’s “Crazy Tour Stories”, Matt Byrne, the drummer for the metal band, Hatebreed, shares crazy moments from touring, while on tour with Dying Fetus, Code Orange and Twitching Tongues. Hatebreed is best known for their songs “Destory Everything” and “I Will Be Heard”. On this episode of DTB’s “Gear Masters”, Matt Byrne, the drummer for the metal band, Hatebreed, shows off the gear that they use onstage, while on tour with Dying Fetus, Code Orange and Twitching Tongues. Hatebreed is best known for their songs “Destory Everything” and “I Will Be Heard”. The metal band, Hatebreed, has announced a North American tour, called the “20 Years of Desire & 15 Years of Perseverance Tour”, for October through December. The tour is in support of the band’s two album anniversaries, Satisfaction Is The Death of Desire and Perseverance.